A Gas Rapid Recovery provides refrigerant recovery services to a wide range of industries, including but not limited to, HVAC, refrigeration, demolition, and marine. Projects range in size and to date include ships, supermarkets, hospitals and aeroplanes. We are confident that our efficient and cost-effective recovery service will benefit you today – we are ready for your next project so why not contact the team today for more information. Our onsite recovery service will ensure minimal downtime, with the aim of reducing the overall impact of refrigerant recovery to any business. Working side by side with your contractor we manage and execute refrigerant recovery during retrofit projects, from planning to execution and follow up. We handle the complete refrigerant recovery process so you don’t have to. 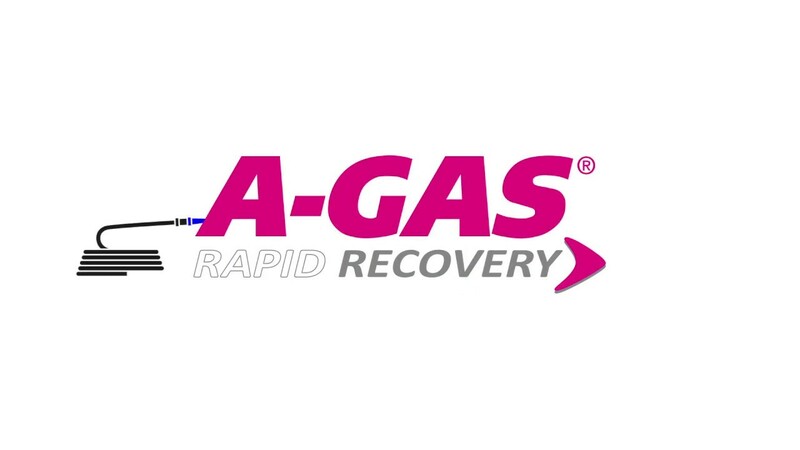 Visit our dedicated A-Gas Rapid Recovery website to find our more or come by to visit us at Chillventa, our representatives will be delighted to show you how our system is 10 times faster than any other! As part of our commitment to supporting complete lifecycle management, we recover and reclaim the maximum amount of product during retrofit programs and planned maintenance, or when equipment reaches the end of its life. We offer complete refrigerant and halon lifecycle stewardship by taking on the responsibility for waste management from end users and contractors, helping you to easily fulfil your legislative and regulatory obligations. Our all-inclusive service has been designed alongside country specific regulations and stops unnecessary destruction and emissions to the atmosphere –– along with any associated costs. Are you currently disposing of your used refrigerant? Our fleet of dedicated recovery/reclaim cylinders are designed for product recovery during equipment servicing or decommission. These cylinders are returnable, providing you with a portable and easy solution for returning unwanted refrigerant for reprocessing. Tonne drums and ISO containers are available for recovery of larger volumes of materials. Whatever your needs, we are confident we have a solution. Contact us to discuss your requirements www.agas.com. At A-Gas we pride ourselves on the quality of our products and our recognised worldwide for our product integrity. Every molecule of product reclaimed is of the highest possible standard. Our refrigerant analysis services enable you to identify the refrigerant in a system and detect potential contaminant levels. We live for your peace of mind. We’re a leading supplier of refrigerants to the heating, ventilation, air conditioning and refrigeration industries, offering an extensive range of products and supplementary services. Whether you are a user of high GWP products such as R404A, have switched to low GWP alternatives such as R448A or R449A, or are considering an A2L replacement such as R32, A-Gas offer the complete range. We are your one stop shop when it comes to refrigerants and service gases. We offer unrivalled technical support and advice – If you need guidance on the best refrigerant for your application, or simply want us to share our industry knowledge with you, we are always happy to help. Come by and visit us at Chillventa, the team will be pleased to see you. A-Gas unveils its award-winning Rapid Recovery service to customers in Europe and showcases the latest developments in refrigerant reclamation at Chillventa 2018. The latest low-GWP refrigerants will also be featured and our experts will be on hand to advise on the best products to manage the F-Gas Regulations’ stepdowns.